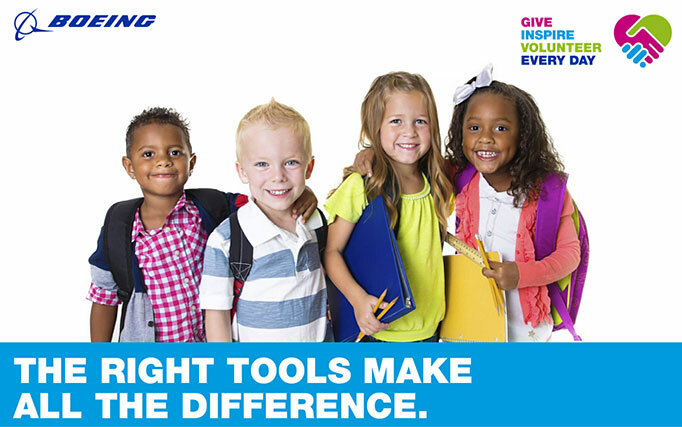 The Boeing Books & Backpacks program is a Boeing employee collection and e-giving drive. Boeing employees can make monetary donations through e-giving. Donations will assist middle school students of Long Beach Unified School District in their Robotics programs, providing needed components and funds for STEM-related training and competitions. In addition, Boeing employees can donate physical items such as backpacks and school supplies in collection boxes throughout buildings. The Boeing Books & Backpacks program helps allow a child to have the resources they need to start the school year off successfully. Boeing Employees: Don’t forget to request a gift match through https://give.boeing.com (a minimum donation of $25 is required in order to gift match).